For two thirds of families here the childcare bill is their largest or second largest monthly outgoing. 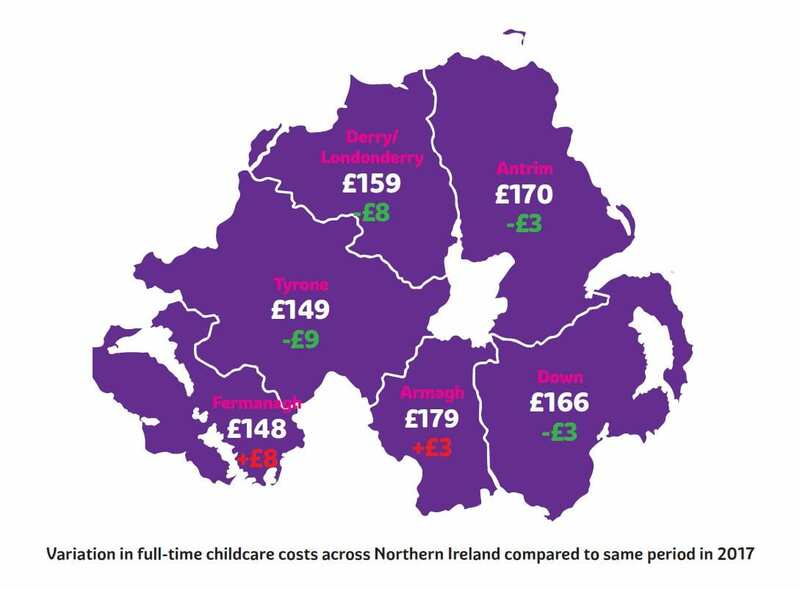 This startling figure was revealed today as Employers For Childcare launches its 9th Annual Northern Ireland Childcare Cost Survey results which show that, after housing, the childcare bill continues to exceed groceries, heating, transport and other household costs. While this year’s Survey found the average cost of a full-time childcare place has dropped slightly to £166 per week, the ability to afford and access childcare is still a significant issue for thousands of families. Each family’s experience depends on a range of factors including the type of provider they use, with the change overall largely driven by a decrease in the average cost of a childminder place, while the average cost of a day nursery place has actually increased. The research has also revealed a strong call from parents to bring childcare support in Northern Ireland in line with England where eligible families can receive 30 hours of free childcare for three to four-year olds. 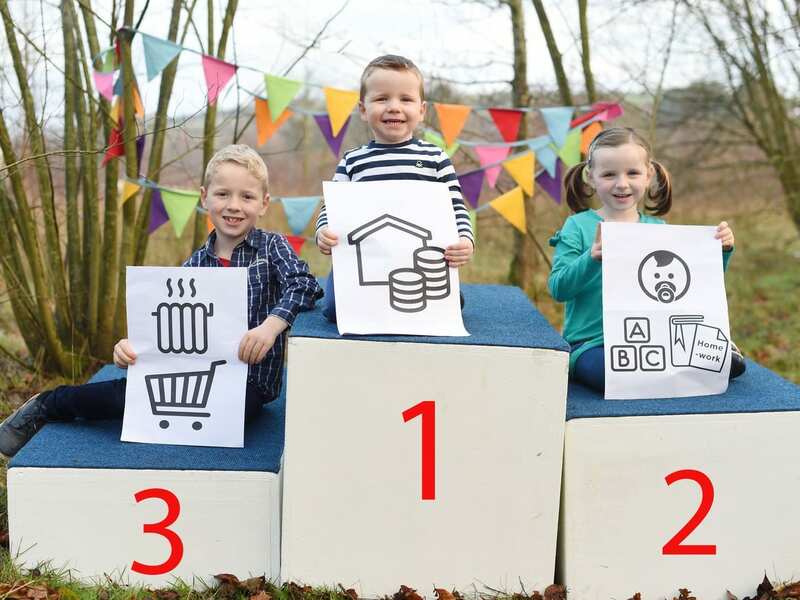 Aoife explains: “Families recognise that it is costly to deliver quality childcare, which is why they are expressing their frustration that the sector here is receiving less investment than in other parts of the UK. Introducing policies such as the ‘30-hours free childcare’ would go a long way to alleviating some of the hardship or difficulties experienced by local working families”. Focusing on how the affordability of childcare is also having a negative impact on women and their career progression, Aoife continues: “Despite significant progress towards gender equality, it’s still predominately mothers who report reducing their hours or leaving the workforce to raise their children. Mothers who are qualified for a range of professions, from Quantity Surveyors to Nurses, have told us that they have had to reduce their hours or work opposite shifts to their partner to reduce their childcare bill. “As a society we must address this issue, we cannot be educating and training our daughters to be the best in their field whilst continuing to ignore the barrier an inability to access affordable childcare presents to a woman’s career progression in particular”. Looking towards the future Aoife concludes: “Over three quarters of parents stated they believe the quality of childcare they receive is excellent, with many calling for childcare workers to be better remunerated and recognised for the valuable role they play in shaping the next generation”. “The message coming from parents is therefore very clear – they want proper investment from Government in a childcare infrastructure that is affordable, flexible and meets the needs of families. Alongside this they are calling for an early years system on a level with other parts of the UK, and access to the financial support needed to ensure going out to work will always pay. “As we enter 2019, Employers For Childcare will continue to make it our mission to lobby Government for a better deal for working parents and childcare providers”.